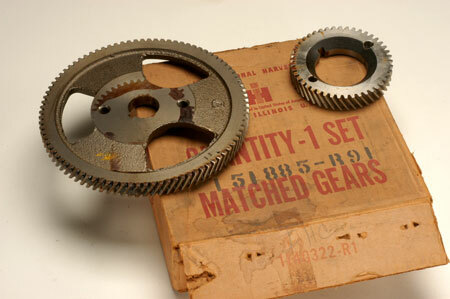 Matched timing gears. Fit 1961-1971 Scout 80 and 800, 152 and 196 engines. 151885R91 These are the NOS early type timing gears. These were changed for emissions in the 70's. These were the early ones that offer nothing but power and "emissions be damned!"